When it comes to live-action adaptations of their catalog of animated classics, you have to admit that Disney has the formula down pat. And with their latest, Dumbo, there's no doubt that the studio has yet another box office hit on their hands. The heartwarming story of a misfit baby elephant who's mocked for his comically large ears — but who finds a family among a motley crew of circus performers — Dumbo marks the fourth collaboration between actor Danny DeVito (who plays traveling circus proprietor Max Medici) and director Tim Burton (who previously worked with DeVito on Batman Returns, Mars Attacks! and Big Fish). Not only that, it also marks a re-teaming between the pair and Michael Keaton, and let's just say that this Batman Returns reunion has been a long time coming. 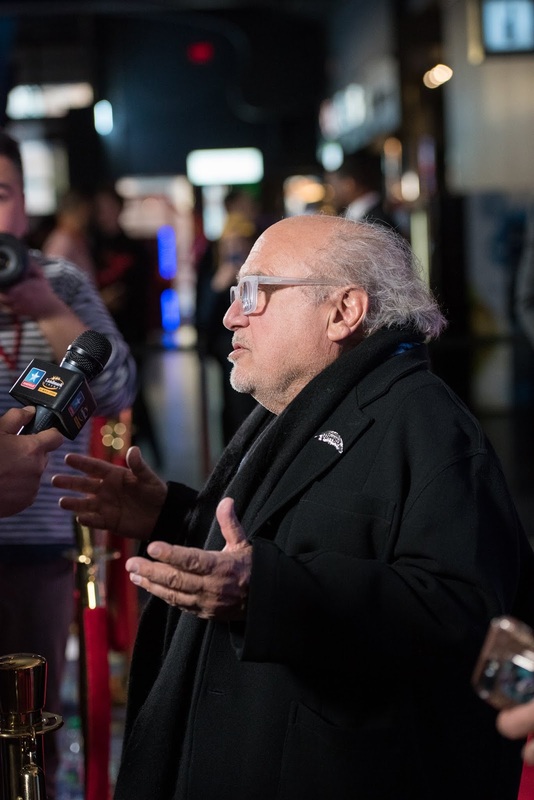 I caught up with DeVito at the Canadian premiere of Dumbo, to chat about what it was like working with Michael Keaton and Tim Burton again, and to find out what makes Dumbo such a timeless tale. What was it like re-teaming with Michael Keaton and Tim Burton? DeVito: Michael and Tim are like family to me. We had a good time on the movie. You know, Tim is like my weird daddy [laughs] and Michael's my big brother. And we had fun. And we're very happy that Colin [Farrell] and Eva [Green] and the kids [Nico Parker and Finley Hobbins] are part of our family now, too. I hear you're a big fan of the original 1941 animated movie as well. What makes the story so timeless? DeVito: Well, I saw it when I was a little boy, and it's got some really great values in it. There are things that we kept in the movie that we love about the original, and things that we didn't keep, and things that we expanded on. Like, for instance, the animal rights idea — how animals shouldn't be held in captivity. We deal with that in a big way in Dumbo.